Testing has shown that though the R-value of a log is technically low, log homes are energy efficient. 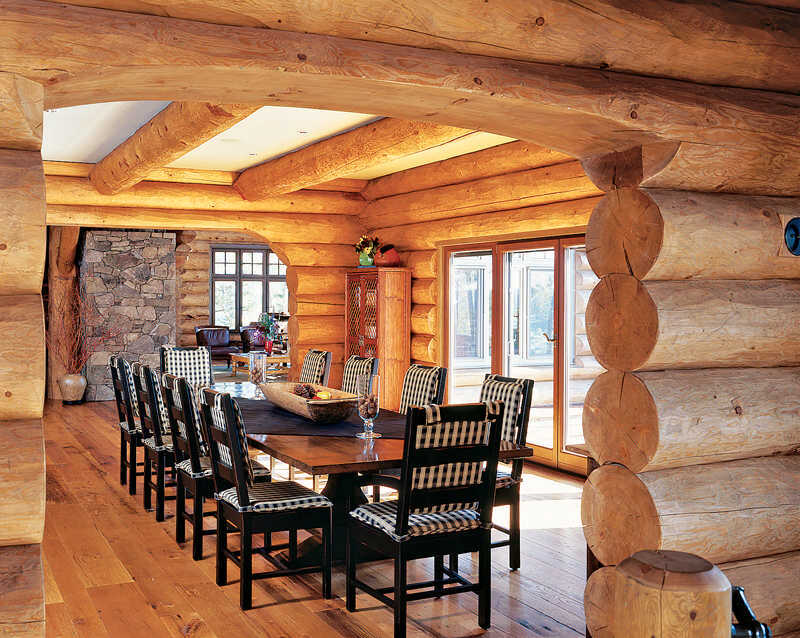 Read on to learn about the energy benefits of log homes. The log home industry has always been challenged when the question of energy efficiency is raised. Wood conducts heat, but it does not perform in the same way insulation products do. Yet the ongoing message from log home owners is that their homes are warm, comfortable and more energy efficient than expected. The Log and Timber Homes Council (LTHC), part of the National Association of Home Builders, is focused on proving that these experiences are real, not just perceived. Previous research and testing conducted on solid wood walls demonstrated that they have thermal mass, meaning they store and radiate heat slowly. This is why log walls have better energy efficiency than mere R-values would suggest. The benefit is found in the International Energy Conservation Code published by ICC and adopted by state and local authorities. The energy code has special provisions for “mass walls” which includes solid-wood walls. The code is further supported by ICC400 Standard on the Design and Construction of Log Structures, which also contains information about the thermal performance of log walls. Last winter, the LTHC worked with Home Innovations Research Labs to gain more data to impact energy codes, standards and evaluation tools. The next step is to perform dynamic analysis using a highly specialized computer simulation program, which will allow further study of a variety of climates and log types. This analysis sets the course to accurately test the thermal performance of log walls.